A friend bought this exact one a few weeks ago and I've been very impressed with the quality. I know the 3D modelling software Solidworks pretty well so designing stuff for it is no problem. I'm very excited as to all the audio bits I will be able to make . High printing accuracy can meet the industrial needs. Patent technology for XYZ aluminium V-slot bearing + precision roller with high positioning accuracy to make it run smoothly and get higher quality product. Simple design, easy to make, to avoid the cumbersome installation. Industrial-grade PCB can continuously print for about 200 hours (under ideal conditions), with matures printing technology and stable performance. Patent MK8 nozzle extrusion structure can print more printing material without block. Print Material: 1.75mm PLA, ABS, TPU, Copper, Wood, Carbon Fibre, Gradient Colour etc. You can also get a head attachment that allows it to laser etch! It will be a couple of weeks before the printer is delivered but it does open up a whole new world of potential. Before pretty much everything I made was machines from stock form. The 3D printer means I can realise designs that could only normally be injection moulder or would require very elaborate multi-axis machining. I’ve got a whole host of ideas - can’t wait . Me too - I received notification this morning that it is being shipped. I think it is coming air freight so shouldn't take long. What you planning to try printing first Mark? Good question - bits I want to do are a new suspension spring design I have in mind, cartridge body, an arm I have designed and a bunch of bits for the (oh so slowly) developing turntable I’m building - caps for the adjustment system etc. Oh, also an adjustable version of my record clamp design . Well I’ve just had a message from UPS to say that import duty charges have been paid and so delivery is imminent. Regarding the import duties - I bought the the printer from a site called ‘Light in the box’ (LITB) and one of the options was to insure against import charges - I’ve not seen this before but did (luckily) select it at £5 (or so). When UPS messaged me to say delivery was on hold until £82.00 of import duty had been levied I merely copied the UPS invoice to LITB and they promptly refunded me the exact amount. So although I did pay an extra £82.00 it was balanced out by a refund of exactly the same amount - which has left me very pleased . It has arrived and is sat in my hallway as I type this. However, I doubt it will be unboxed before the weekend and perhaps not even then. I really am stupidly busy with work at the moment . 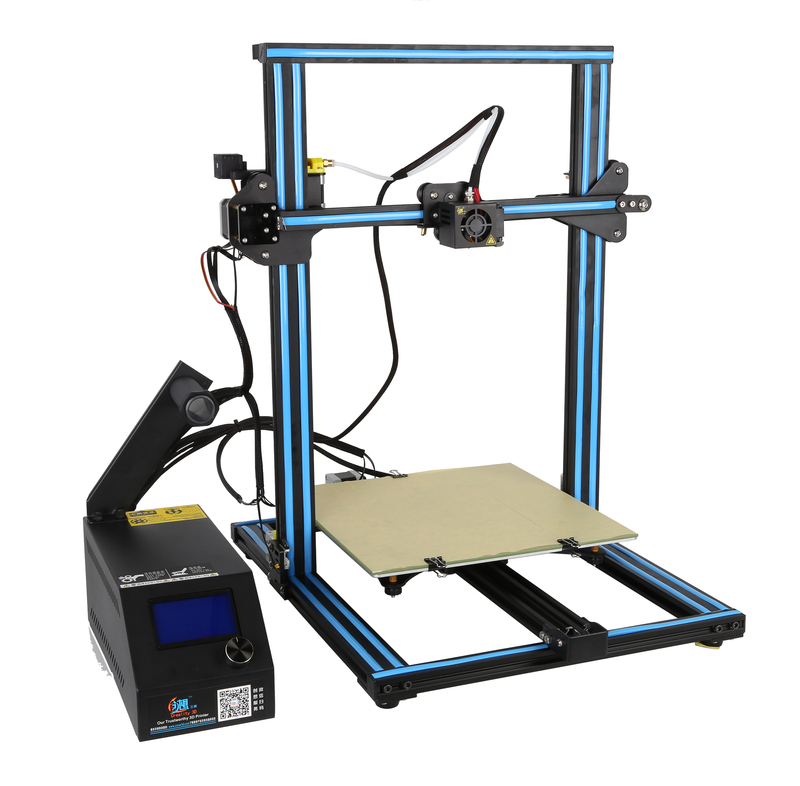 I checked this 3D printer out on their website. Looks like a great unit and priced pretty decently as well. Interested in seeing your 3D printed creations. Mark, Have you seen this 3D printed concrete castle? They do houses as well.